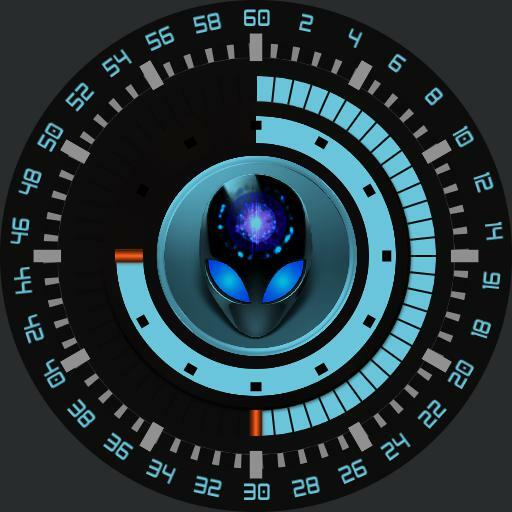 Alien Fader. Face 1, rotating second count, static hour marker, rotating minute count marker . Face 2. Digital date, short day, day number, short month, power levels for watch and cell, weather icon, low and high temperature levels, Step count, Heart rate. Tap actions for background colour, mid left next ucolor, mid right previous ucolor. Centre, Fader.